Day 6 of our Hong Kong tour, a day of lesser gluttony. We are off to Hong Kong Disneyland today, Miss Chicken doesn't really want to go but the concept of an Asian Disneyland intrigued me and, well, it's my birthday. 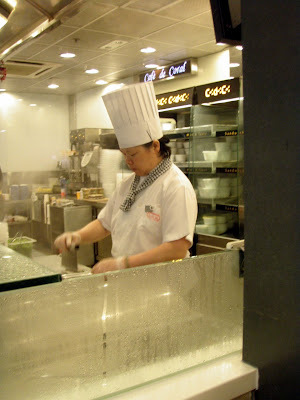 We grab a quick breakfast at Cafe De Coral in a subway station on our way to see The Mouse. 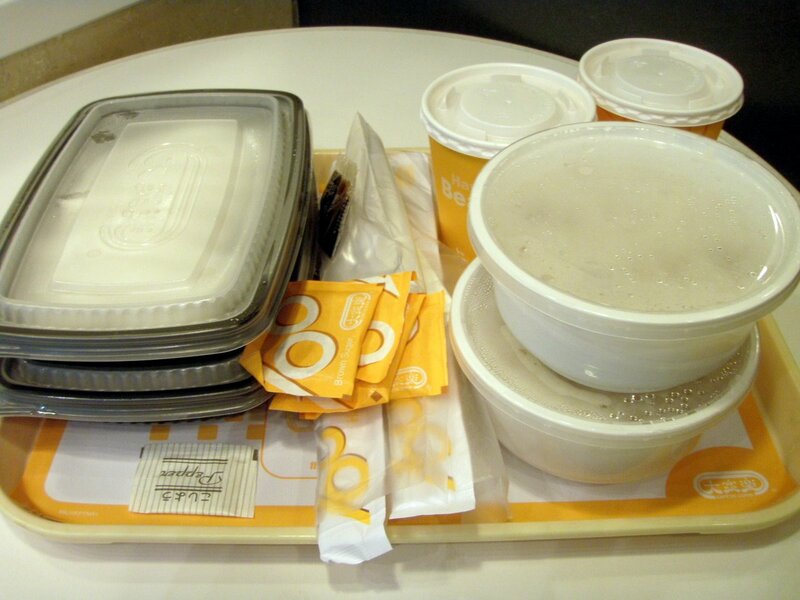 We order using the 'point and pray' method. We get uber stodgey rice cake rolls, very plain and perfect for breakfast. 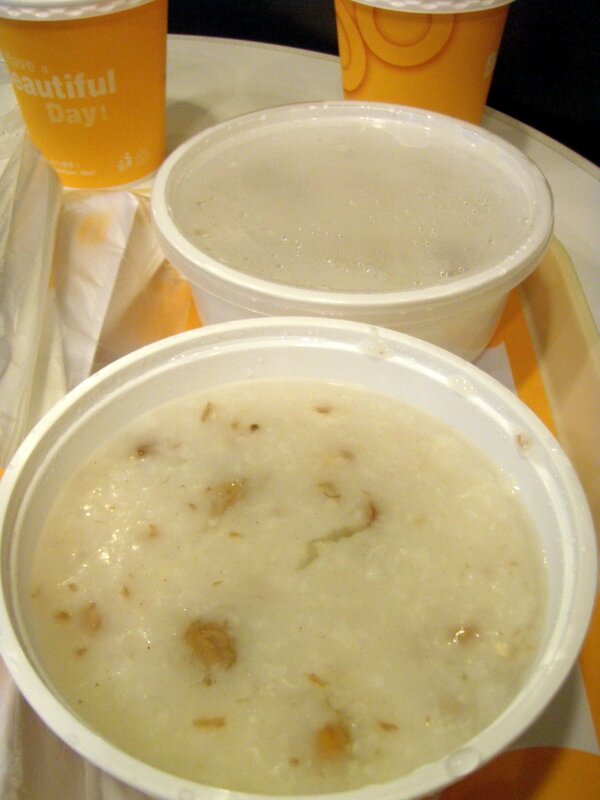 And congee, rice porridge in a styrofoam bowl. 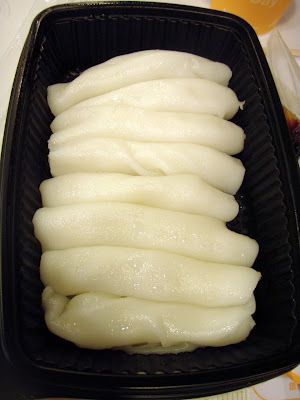 It's average food but it's fun. The Cafe de Coral crew doing their thing. Disneyland in Hong Kong is, well, Disneyland in Hong Kong: much smaller but the food is much better. On the way back to our hotel we feel the need for snackage. We feel like a bit of something not Chinese, rather than go to Maccas we hunt down the Japanes alternative, Yoshinoya. 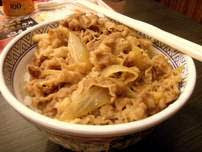 Yoshinoya is a Japanese chain that does fantastic beef bowls: thinly sliced beef and onions "simmered in a special broth" on top of plain rice. Absolutely delicious. 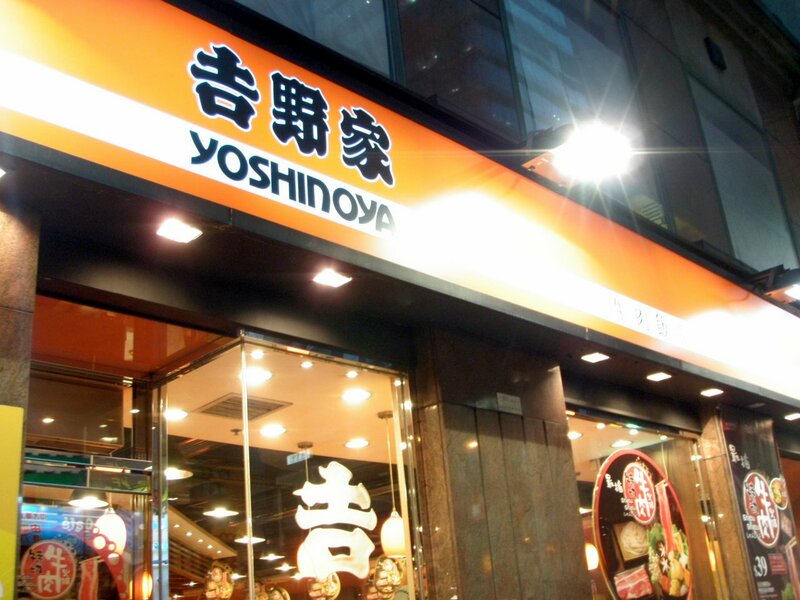 Yoshinoya did attempt to open in Australia. 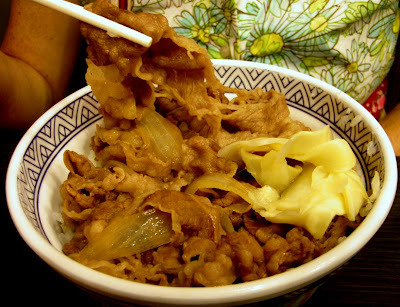 There was a Yoshinoya on Oxford Street, Darlinghurst and another in the Westfield at Hurstville. But alas they closed and we have Yoshinoya in Australia no more. It was just over $5 for a beef bowl, insanely good value, it should have been hugely popular in Australia but it just never happened. The beef is discoloured in the orange lighting but we assure you it is wonderful. We almost cry when we walk past the shop where Yoshinoya used to be on Oxford Street, such is life. We spend the night in the hotel watching Anthony Bourdain on cable TV. 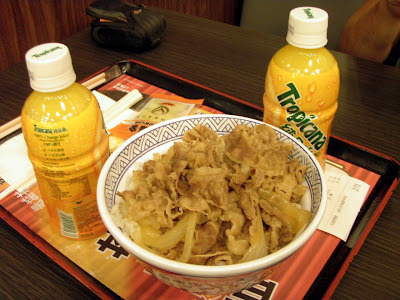 =O There used to be Yoshinoya in Sydney? Point and pray method brings some real treats - used it in Prague. I was happy with the soup and hubby happy with the "surprise" tripe. win win. Yoshinoya is the bomb. We tend to frequent it whenever we're in HK, if for no other reason than getting a family of 5 (or 6, depending on which trip) fed for around $15 or less Aussie is great. CdC isn't bad, we went there a couple of times and the western breakfasts are a blast, if for no other reason than they're nothing like what these westerners usually eat. Maxims MX - I would give it a miss. Worst of the lot by a mile. Considering that fast food in HK is cheap and tasty (though not as good a street/restaurant food, but still good enough), Maxims was a massive miss. We made it a point of grabbing egg tarts whenever we saw them at a non-chain joint (like MX Cakes, St Honore, that sort of thing). There's some nice ones getting around!